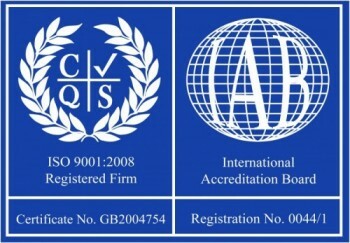 Following an assessment by an independent organisation, Bluseal has been successful in achieving ISO 9001 Certification. This Internationally recognised, prestigious award for quality is an International Standard in use worldwide as the benchmark for Quality. The award recognises Bluseal’s commitment to an exceptional quality of service. With only around 3% of UK business holding this Certificate, Bluseal are now at the forefront of quality service and customer care. Managing Director, Steven Spencer said, “We have always been proud of the service we offer our clients. Now, with the award of ISO 9001, this has been confirmed by outside experts who are used to judging service on a daily basis in a wide variety of trades and industries”.